Today, Stacy Von Haegert talks about her debut release, Under His Protection, the first novel in the The White Rose Trilogy. How gorgeous is this cover?! I have to say, I was hooked from page one. In the meantime, let’s allow Stacy to tell us more about her wonderful first novel. Stacy, tell us about Under His Protection. London 1838, Present day… Title-hungry matrons of the upper class throw their daughters in Alexander’s path. But the Duke of Ravenswood has no desire to give up his rakish, gaming lifestyle to get hitched. When the Kingston family from New Orleans enters London, however, Alex quickly finds himself unwittingly entangled. 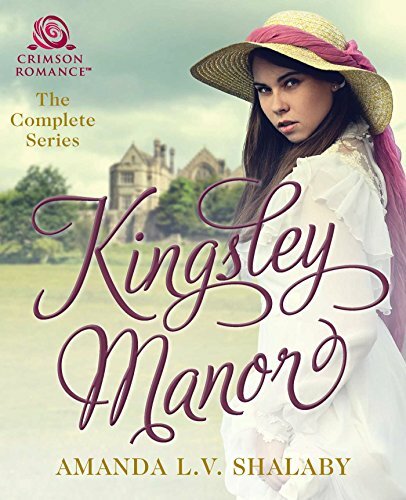 With her spirited personality and innocent aversion to all things proper, Greyland Kingston completely knocks him off his game. The gossip fans flutter when Queen Victoria asks Greyland and her eldest brother, Perkin, to dance the scandalous Viennese Waltz at the Royal ball. Who is this family? How do they know the Queen? Why do they bear such a strong resemblance to the late King of York? Trouble ensues in the form of jealous women, ambitious men and a vengeful Irish clan. Alexander quickly finds that having Greyland for his own will come at a steep price. He must risk everything to keep her protected. A: I grew up in Nashville TN. I am an only child and spent most of my early years fanaticizing characters to play with in the woods on our 50 acre horse farm with my trusted sheltie, Teak. My parent’s bread and showed Arabian horses so I was also riding before I could walk, but my greatest love came from swimming in the natural spring fed river that ran through our land. It was hard to get me out of that river. I am to this day, still most comfortable in the water. My father was also a musician. He is where I got my love of storytelling from. I have always loved to read and started writing short stories when I was four years old. Later I graduated from Watkins film and art school with a double major in directing and cinematography. At the same time, I was also studying and teaching ballroom dance. I went on to dance professionally, and 18 years later I’m still teaching. I most definitely have capitalized on my dance experience in writing this book. I am married with one very active 9-year-old boy, two cats and a 100 pound collie who is by far the best behaved in the house. When I am not teaching, or writing, you will most liking find me cheering fanatically from the sidelines of a sports field of some sort, closely resembling the mom from the movie “The Blind Side”. Yep, I am sure there is a 12 step program for this, but I have yet to enroll. A: Poetry was my first love so romance just fit with my need to paint stories that were colorful, passionate and emotionally charged. I adore this genre! Reading is my escape. I have been in love with the written word since childhood. A: A little from column A, and a little from column B actually. I have always been a natural adventurer so I do tend to jump right in. I like to write with the ebb-and-flow that my characters dictate for me. Once I define their personalities, I just run with them. However, I originally went to film school with the desire to write screen-plays. At the time, I found the structure involved this style of writing to be stifling to my creativity. Now, I think it helps me to keep a plot moving and keeps the back corners of my mind constantly structuring an outline that transitions easily from one scene to the next. A: Funny, but my first love was Stephen King. Not very romantic but his story telling and suspense is outstanding! I really try hard to model a lot of my writing around his ability to leave the reader grasping for more. My greatest love will always be Anne Rice. Her imagery is magnificent! I defiantly would say my inspiration for passion was kindled by her well written scenes. In college I discovered Jack Kerouac, another writer that spins beautiful webs of intricate words. His ability to take the reader effortlessly from highway gas stations, to beatnik apartments without missing any gaps in between is amazing, and an art form I strive for as well. In recent years I have come to discovered George R.R Martin, and have hungrily devoured every book in his Game of Thrones series. His twist and turns excite me and his imagination is un-surpassed. While my writing in not nearly as lengthy or involved, I would like to think I draw strongly from his creativity and drama. I read everything, but these writers are the ones that have inspired me the most for the above mentioned reasons, and in large part due also to their rebellious nature and desire to challenge the literary world. A: They were a dream to write! Once I wrote down their physical features and a brief description of their personalities they came to life. I just followed their lead. I know I am bias… but I truly believe I have never read a book with two better leading characters than Greyland and Alexander. If I have done anything right, it was to create them. Greyland is a strong, delightfully funny, and beautiful woman with just enough femininity to be vulnerable. Alex is all male, yet still has a very raw humanity to him that makes your heart bleed a little at times. I actually found myself crying when I wrote some of his scenes. A: HUGE! Once I started describing Greyland’s brothers, Perkin and Edward, I quickly realized I had too many great personalities to contain in only one book. Thus, a trilogy was born. I really think I stepped outside of the traditional romance genre a bit by bringing so many personalities into it, but they all had something to say and it’s personally what I like in a book. I believe that in order for a reader to truly fall in love with a character, they must be able to uncover all aspects of the character’s life. Family and friends are a monumental part of this development. It allows the author to draw in layers of depth that keep the reader turning the pages. A: By spending time with my family and friends, or curling up with a great book. A: I stayed on a historical romance kick for a year leading up to writing this book. I wrote down descriptive words for the time in a journal. Example: The word “Ton” is used to describe an elite group of upper class Lords and Ladies. I also consulted a professor of history to make sure some of my facts were correct. It was important for me to stay in my book’s era, but at the same time, I wanted to create a work of fiction that could also stand on its own without the tethers of a historic biography, hence, the genre, Historical Fiction. I think I have pushed the boundaries of the historical romance genre just enough to satisfy my original goal of writing a book that takes the reader on an emotional journey and does not bog them down with pages upon pages of descriptive historical words to describe ones dress. A: I would love to try my hand at a Vampire series, with my own original spin on that timeless song. A: I am currently wrapping up book 2 in this trilogy, then it’s on the third and final installment. I am already rubbing my hands together in anticipation for that one. A: Don’t stop! Step away when you need to, but don’t stop. Thanks so much for coming by today, Stacy! I loved this interview and have also been intrigued by the vague renditions of what actually happened with the two princes. The books sound wonderful and I am off to download my copy to read as soon as I’ve finished Becky Lower’s fabulous new book :-). Hi Joanna, so nice to see you! Thank you for coming. You’re really going to enjoy Under His Protection – and I’m reading Becky’s book next! Can’t wait! Great interview, ladies! The cover IS gorgeous! Romance peppered with a great British mystery – I’m sold. I just downloaded my copy and am looking forward to reading! HI Tara! Thanks so much for swinging in! #VirtualHighFive You’re going to love Stacy’s book. It’s really fabulous. I miss you! Great interview and insight into what motivates you to write in the style you do, Stacy. I love taking actual historical events and weaving an alternate ending to the story, especially if the actual facts are somewhat vague. I’m always asking What if? And you do a wonderful job with those ‘What ifs’, Becky! So wonderful to have you stop by 🙂 Thank you! Wonderful interview, ladies. Stacey, I’ve always been intrigued by speculation about what happened to the “princes of the Tower.” I can’t wait to read about the heirs of this bloodline in Regency times. Congratulations and much success with the series! That makes two of us, Deborah! Thanks for stopping by to visit today. For a history buff like yourself, Stacy’s story is right up your alley!